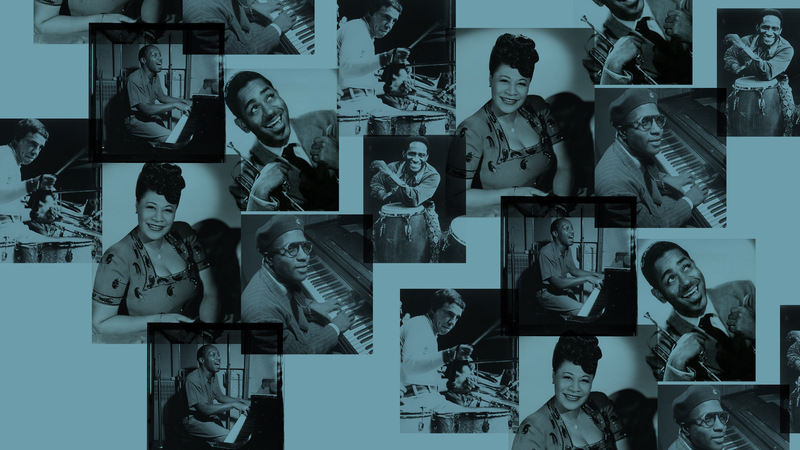 We’re delighted to announce our new concert touring programme for young people and their families: The Jazz Ticket marking the centenary of the birth of six giants of jazz – composer Tadd Dameron, singer Ella Fitzgerald, trumpeter Dizzy Gillespie, pianist Thelonious Monk, drummer Buddy Rich and percussionist Mongo Santamaria. Touring to nine UK cities, the programme features a new work for big band by our musical director, Peter Edwards entitled A Journey with the Giants of Jazz, which takes inspiration from motifs found in six of the jazz giants’ classic works, and deconstructs their themes to offer audiences a re-imagined musical experience. This new piece was commissioned by Turner Sims in partnership with Tomorrow’s Warriors for PRS for Music Foundation‘s New Music Biennial, which this year forms part of the official Hull UK City of Culture 2017 programme. Across the tour, we’ll be joined by up to 600 young musicians from local schools – around 60 per city – who will play music by the jazz icons as the culmination of an innovative nationwide jazz music programme for schools led by Tomorrow’s Warriors. Check out our events diary and book your Jazz Ticket now! It’s coming to a city near you, and is a wonderful, celebratory musical event for all the family to enjoy. Come along, and enjoy the musical ride of your life on A Journey with the Giants of Jazz! The Jazz Ticket is one of a series of programmes to mark 25 Years of Tomorrow’s Warriors and is generously supported by Arts Council England National Lottery Funds.